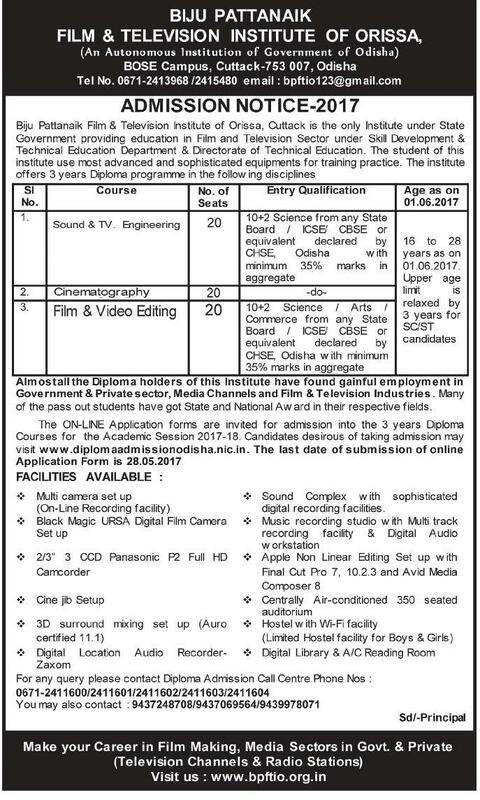 Biju Pattnaik Film & Television Institute of Odisha Published Notification for Various Courses of the Academic Year 2017-18. Interested Candidates Can Apply Online Mode. Online Application are Invited for 3 year Diploma Courses Now Interested Candidates Can Apply through Online Mode. Qualification – 12th Science with Minimum 35% Marks. Step 3 Upload Photograph, Signature and left hand thumb impression of the candidate in the application form.